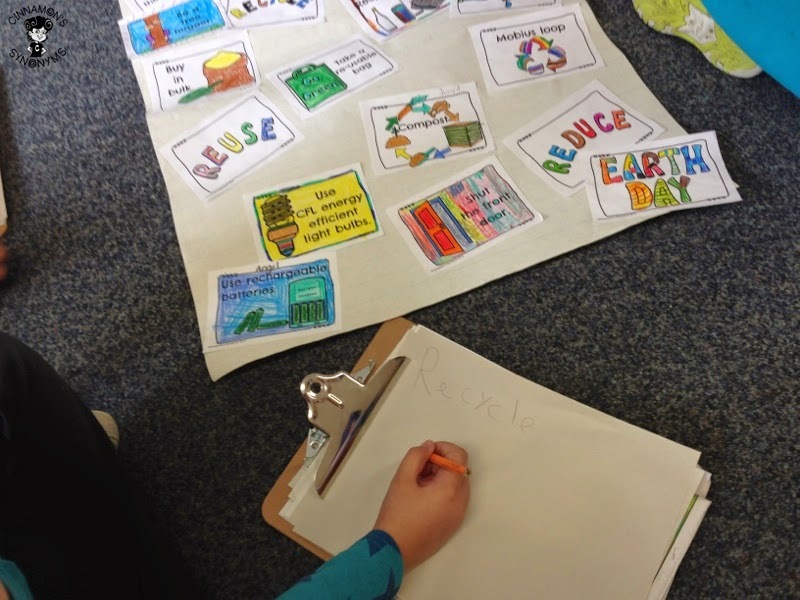 Earth Day is just around the corner… but at our school, Earth Day truly is EVERY DAY… because we are an ECO SCHOOL! Nevertheless, it is nice to have these special days to inspire extra awareness around the impact our decisions have on our planet! Several weeks ago, our school celebrated Earth Hour by turning off all the lights for an hour and unplugging our electronics! The windows in my classroom let in a lot of light so we didn’t have to work in complete darkness at all. It was neat because it made us realize just how much energy we actually get from the sun. Maybe we will work with the lights off more often! 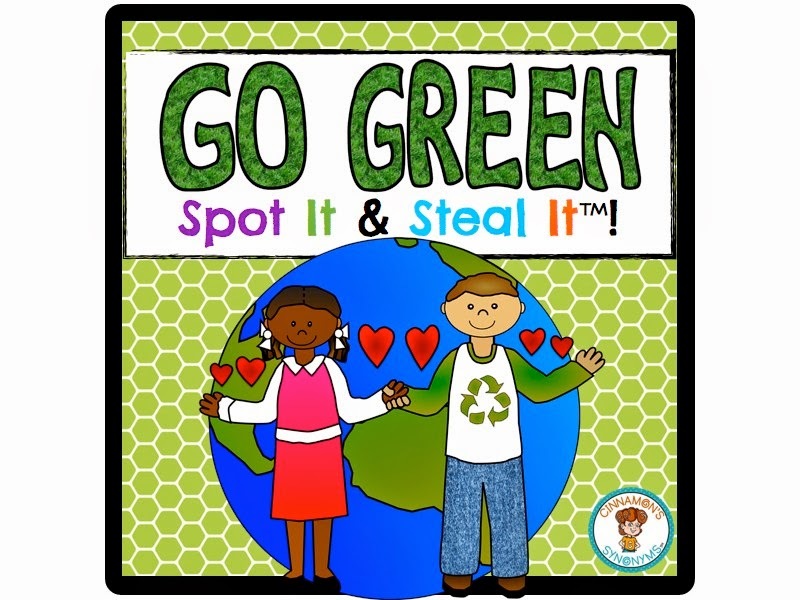 I introduced the class to my Go Green Spot It & Steal It game cards the week of Earth Hour and we’ve been using the pack for various activities ever since…not just for playing the game! You can use all my games in the ways I’m about to describe…so if you have the Figurative Language set for instance, you can use the same strategies. One example: Instead of creating my own anchor chart, I like having my students get involved in the process. We use the black and white versions of the game cards to do this! Then, we pasted the cards onto chart paper! You could also use the cards to create a display or make a class book! For the book, you can have students write a blurb about how they conserve energy at home and place this with the picture. 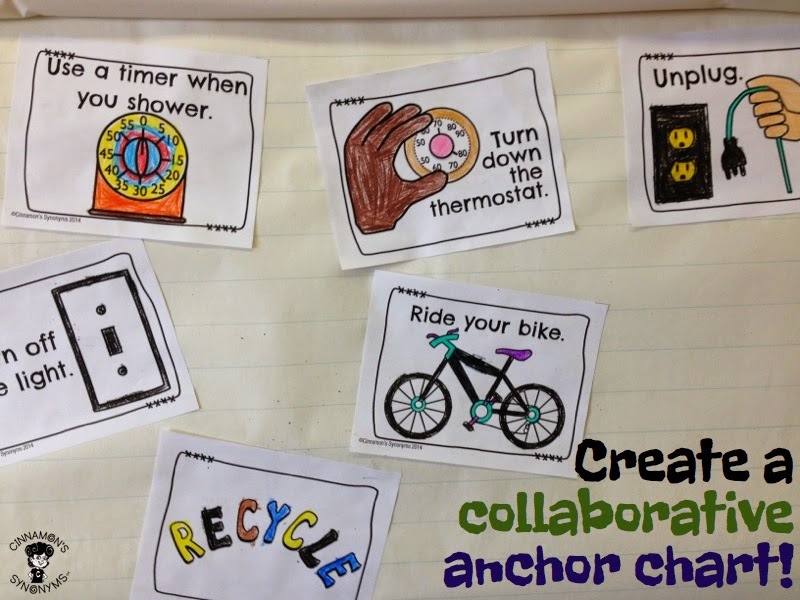 I think there’s real benefit in doing a collaborative anchor chart because students are more likely to refer to it if they played a role in creating it. 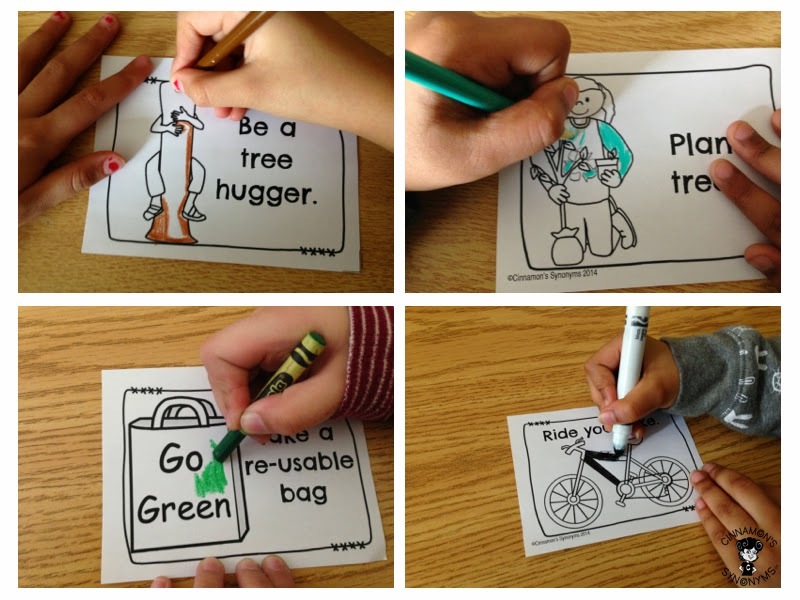 We are now working on creating Earth Day posters! Students used the anchor chart to come up with ideas for their posters! Since they had tons of ideas to refer to, they had no problem coming up with a plan! Below, you can see students gathered around the chart! Next week we will play the game!As you can see, my Spot It & Steal It games can act as a word wall (see that post HERE); you can create an anchor chart; have students write a class book; put the cards up on a bulletin board for a visual reminder; use it as a GAME to review concepts… and more. The options are endless! Here are some more of my Spot It & Steal It games! Click on a box to learn more!